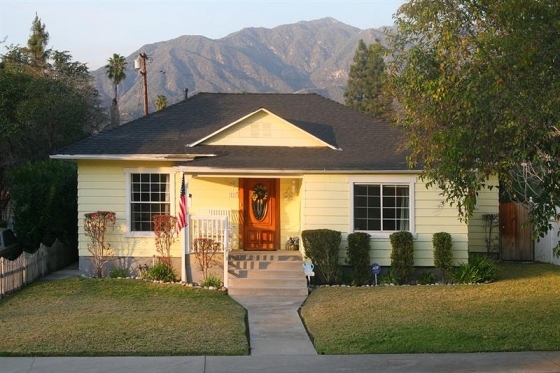 This impeccable bungalow has been completely remodeled and added onto between 2002 and 2006. The oak front door with oval leaded glass window opens to travertine tile entry leading to a bright and airy living room and formal dining room combo. Sunny kitchen with maple cabinets, ceramic floor and countertops, stainless appliances, walk-in pantry and breakfast room with sliding doors that lead to patio. Huge master suite with walk-in closet, bay window and double sided fireplace that opens to spacious master bath with Americh whirlpool/air tub and frameless glass shower. Hardwood floors. Indoor laundry. Professionally painted in and out. Dual zone A/C. Copper plumbing. Updated electrical. Dual pane windows. Security system. Attic space with pull down ladder and loads of storage. 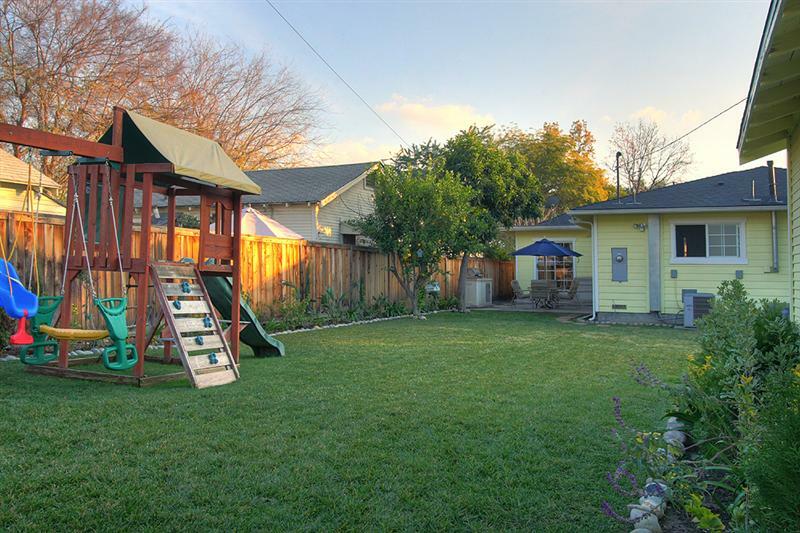 Two-car detached garage with alley access, new door, new roof and more storage space. 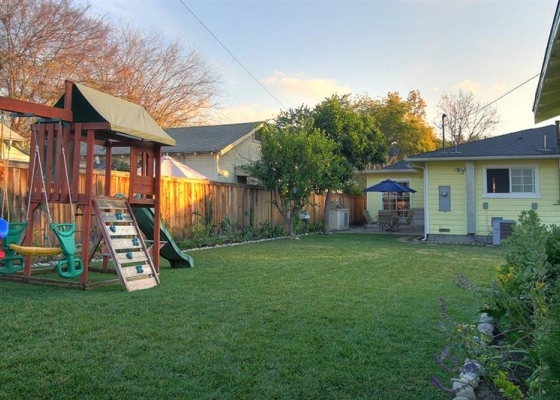 Expansive backyard with play equipment, patio area and built-in BBQ. New redwood fence. Landscaped front and rear yards. Close to new library, park and Old Town Monrovia. Move right in!